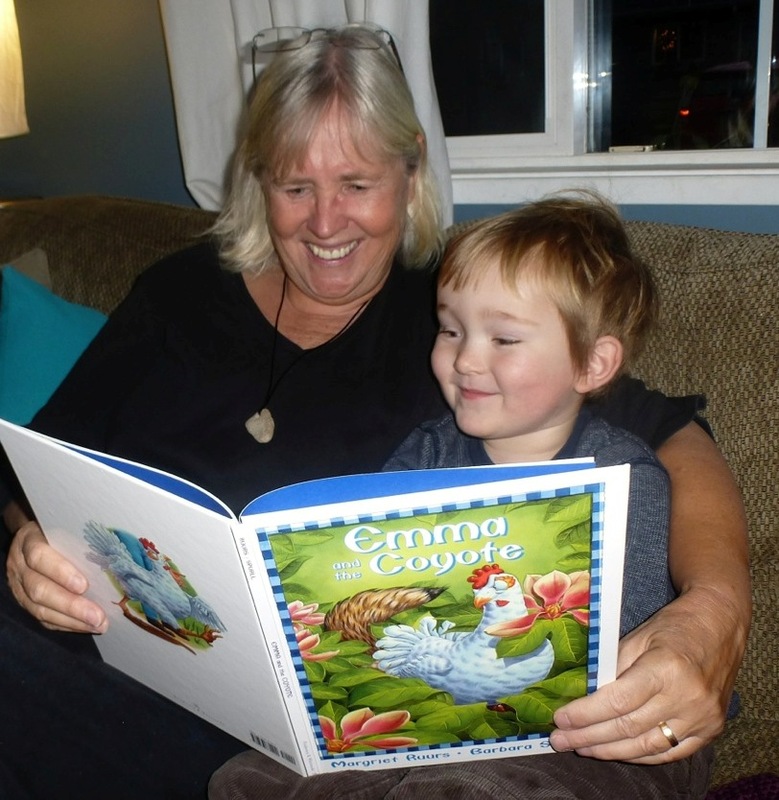 Lana Button is a children’s author, freelance writer and early childhood educator. She has enjoyed working with young children for over twenty five years. As a freelance writer, Lana has contributed to national magazines including Today’s Parent and Parents Canada. But Lana’s passion is picture books! Her first picture book, Willow’s Whispers (Kids Can Press, 2010) was nominated for a Blue Spruce Award, and a Shining Willow Award. Both the Canadian Children’s Book Centre and the Bank Street Children’s Book Committee listed it as a ‘Best Book for Kids’. It was also listed as an Outstanding Book for Young People with Disabilities IBBY winner. Lana’s picture book, Willow Finds a Way (Kids Can Press, 2012) was a Blue Spruce Award finalist, a Canadian Children’s Book Centre “Best Book” and was listed on Publisher’s Weekly’s ‘Bullying Resources: A Selected Listing’. Most recently, Willow Finds a Way has been shortlisted for the Rainforest of Reading Award. Willow Finds a Way is the second book about Willow, who is the quietest child in the class. The story, which is intended for children from pre-k through primary grades, begins when Kristabelle comes to class with a list of all the children invited to her birthday party. Everyone is invited! But in order to stay on Kristabelle’s birthday list, the children must follow her every command. Willow struggles to find a way to stand up for her friends and speak up to Kristabelle. In the end Willow discovers that actions sometimes speak louder than words! I am so very proud that Willow Finds a Way has been recognized as an anti-bullying book. Although the terms ‘bullying’ and ‘bystander’ are never used within the story, it was my hope that it would spark this type of conversation! I submitted and resubmitted my Willow’s Whispers manuscript for 6 years before finding an editor who was willing to work with me. So my strongest word of advice is- Don’t give up! And also keep in mind that ‘no’ doesn’t mean ‘no forever’ it just means ‘no, for right now’. I recommend to any aspiring author struggling to get that story published to find ways to get other material published, whether that be a short story in a children’s magazine or a freelance article for a magazine or local newspaper. Editors are more likely to take a chance on you if you’ve been published elsewhere before. Writing groups and organizations can also be very helpful. I found lots of inspiration and great practical advice from the CAINSCAIP organization (check them out at www.canscaip.org) when I first started out and I still look forward to their terrific Packaging Your Imagination Workshop in Toronto every fall. The best feedback I’ve had from my books have been conversations children have had with each other! After hearing Willow Finds a Way, a group of girls were overheard in the playground making a pact that they would be “Willows” and not be “Kristabelles”. 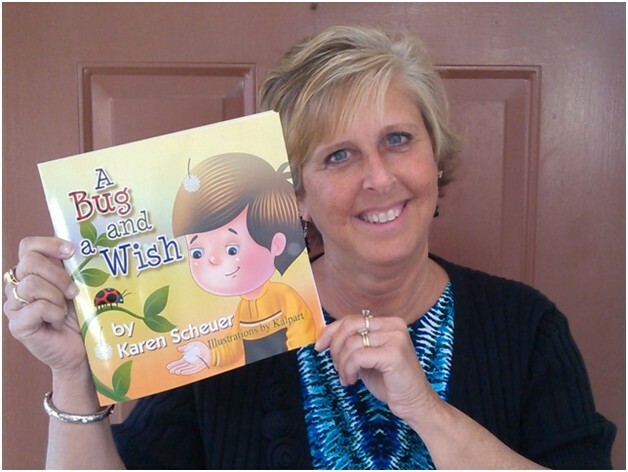 I visit children and read my books whenever the opportunity presents itself! It is one of my greatest joys!! I have visited many bookstores and libraries, and jump at the chance to visit classrooms. Scheduling weekday classroom visits has been a challenge lately, as I am currently in my own kindergarten classroom as an Early Childhood Educator, but I have made room for a few visits each school year, and have scheduled evening visits during school ‘open houses’. My favorite is when we schedule a ‘pajama party’ evening where everyone (including myself!) comes to school with pajamas and cuddly toys and we gather in the library for a story time chat! I schedule book tours during the summer months whenever possible, and have toured throughout Ontario, into the Maritime Provinces and in different parts of the United States. I also love connecting with students and teachers through Facebook and Twitter. What are the joys of being an author / illustrator? What do you derive your greatest pleasure from? To be able to read my story aloud to a child is my greatest accomplishment. To know that the stories have inspired others is my greatest joy! I have been so fortunate to talk with children, parents and teachers who share their experiences regarding their personal challenges in finding their own voice, or helping a child find their voice. To hear that Willow has given others inspiration to dig a little deeper, take a brave breath, and speak out for themselves has filled me with overwhelming joy! If you could dine with any author/illustrator (alive or dead), who would you choose and why? I have been so very fortunate to actually meet some of my favorite Canadian children’s authors over the past few years. I found myself completely tongue tied when coming face-to-face with Paulette Bourgeois (author of the Franklin series) and was totally awestruck when trying to discuss the weather with the incredible Barbara Reid! If I could dine with any author, it would probably be Maurice Sendak, as his Where the Wild Things Are is my all-time favorite picture book. I’d love to hear all about how he came up with such incredible characters and how he managed to create such a rich and vivid story with so few words! Do you do school or library presentations? If so, please briefly describe topics/ geographical limitations. I love doing presentations!! During my 45-minute presentation I discuss the unique writing process involved in creating a picture book. I read both books and discuss the importance of speaking up and speaking out. Both books are strongly based on empathy and self-assurance and I open us discussion around ‘the bully’, ‘the bullied’, and ‘the bystander’. I live in Southern Ontario (Canada), but have presented across Ontario and into the Maritime provinces. You can contact me through my website for more information. I will definitely check out your two books, Lana! I have encountered lots of Kristabelles and Willows in my many years of teaching. yay Lana! It’s been great working with you as the illustrator on these two books! Absolutely lovely to have you stop by and comment Tania….. You know, we would be delighted to interview the illustrator too!